Many of our customers are receiving an email containing the following information (Displayed at the bottom of this page) about a new Shift4 SSL Certificate. 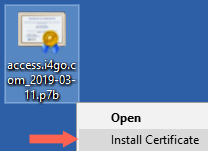 While it's likely that the new certificate will be automatically downloaded and that no action is required, it is better to be cautious and manually install the new certificates now, before the deadline. This SSL certificate should be installed on the server and all terminals that will be processing credit cards. If you didn't receive the email but should have, please contact Shift4 and have them verify your contact information. The email provides a link to download the new SSL certificates but this is a direct link to the file. You can try these steps on your own but if you can't figure it out you should contact your IT professional to ensure that it's done correctly. 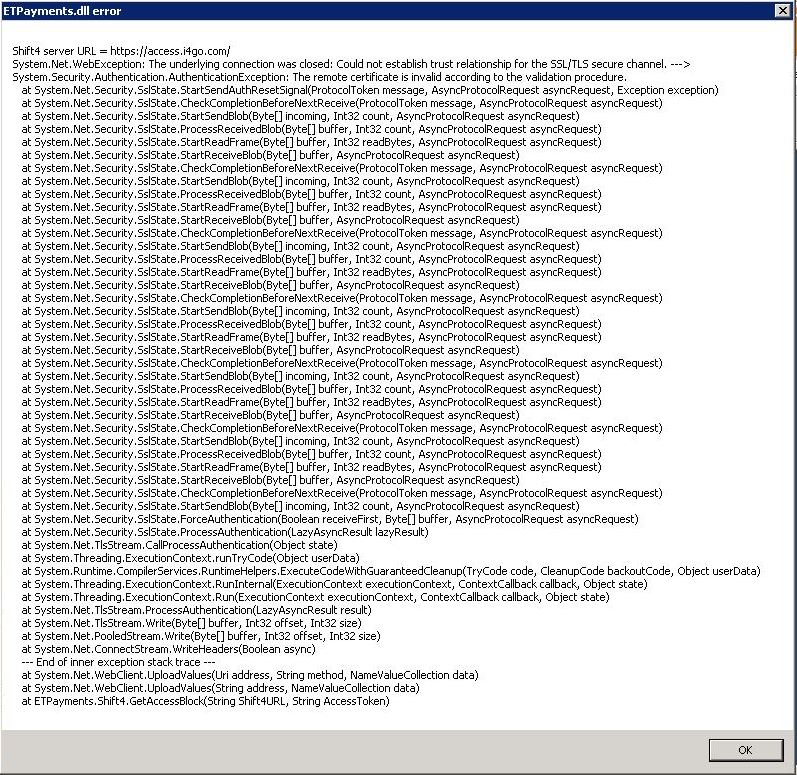 If the Shift4 SSL certificate isn't installed or doesn't automatically update, you might see this error. Once downloaded, open the file and drag the certificate to your desktop. 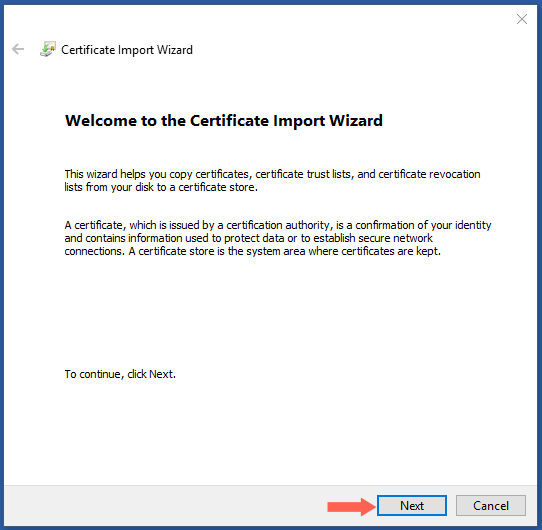 Right click the file and select "Install Certificate"
When you see the Certificate Import Wizard, click Next. 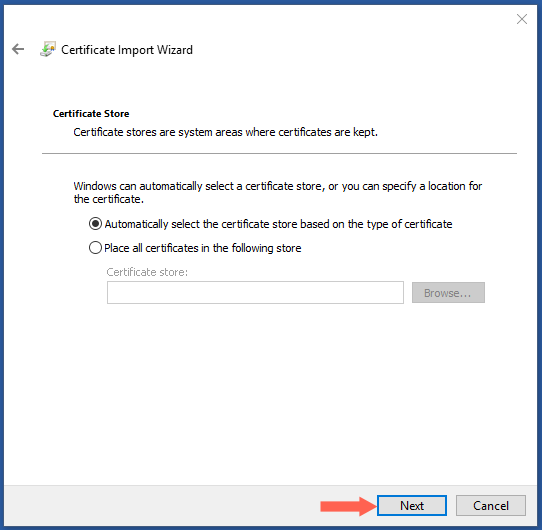 On the Certificate Store page, accept the default selection of "Automatically select the certificate store based on the type of certificate." 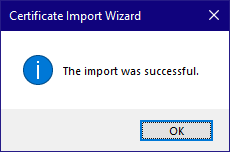 If all goes well the certificate will be imported and you'll receive a success message. This is what the certificate will look like once updated. This is valid beginning on February 4, 2018 and ending March 11, 2019. A new certificate will be issued before the ending date and this document will be updated. While you're addressing security issues, please take the time to verify your TLS 1.2 compatibility. You are receiving this alert because we have identified that you utilize one or more Shift4 webservers that will be impacted by upcoming changes to SSL certificates. Shift4 Payments will be replacing the SSL certificates utilized by our webservers. Most Shift4 customers will not experience any issues. However, we have seen reported issues from merchants and partners with server-to-server applications using our i4Go®, 4Res®, and direct-post to DOLLARS ON THE NET® products. Certificate changes are slated to take effect on April 3, 2018. Some SSL certificates are expiring on April 2018 and must be updated regardless. In 2017, Google announced their plan to no longer trust SSL certificates issued by Symantec in the Chrome browser, starting in March 2018. 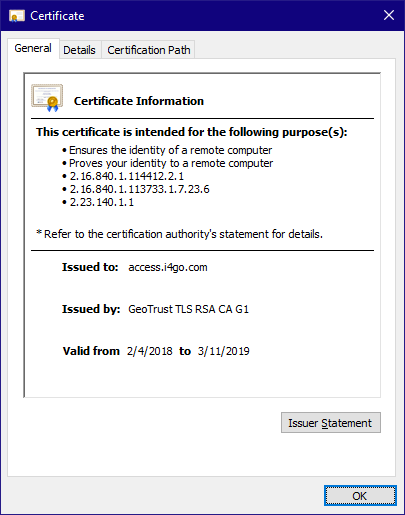 As all Shift4 certificates currently in use were provided by a Symantec-backed certificate authority (CA), we are replacing these certificates in order to limit business interruption. When these updates are made, we will be changing the intermediate CA and root CA, as well as our webserver certificates. 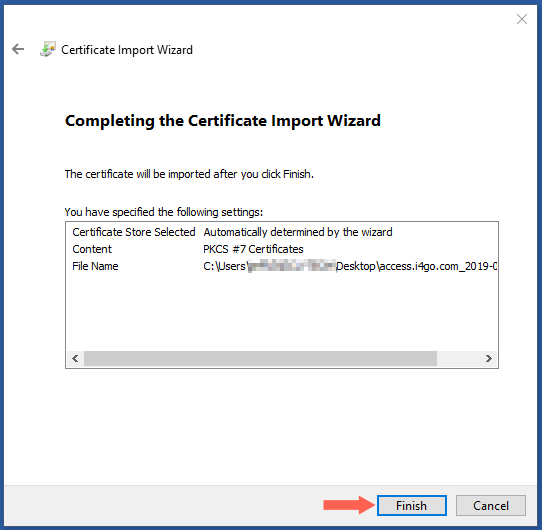 To avoid experiencing any interruption to your server-to-server processing, we recommend that you review the intermediate and root CA certificate stored on application servers and install the new Shift4 certificates. Click this link to access the new certificate information. If you have questions or need additional guidance, please call our Customer Support team 702.597.2480, option 2, or email support@shift4.com.